or at least feel marginally less stupid than you usually feel. 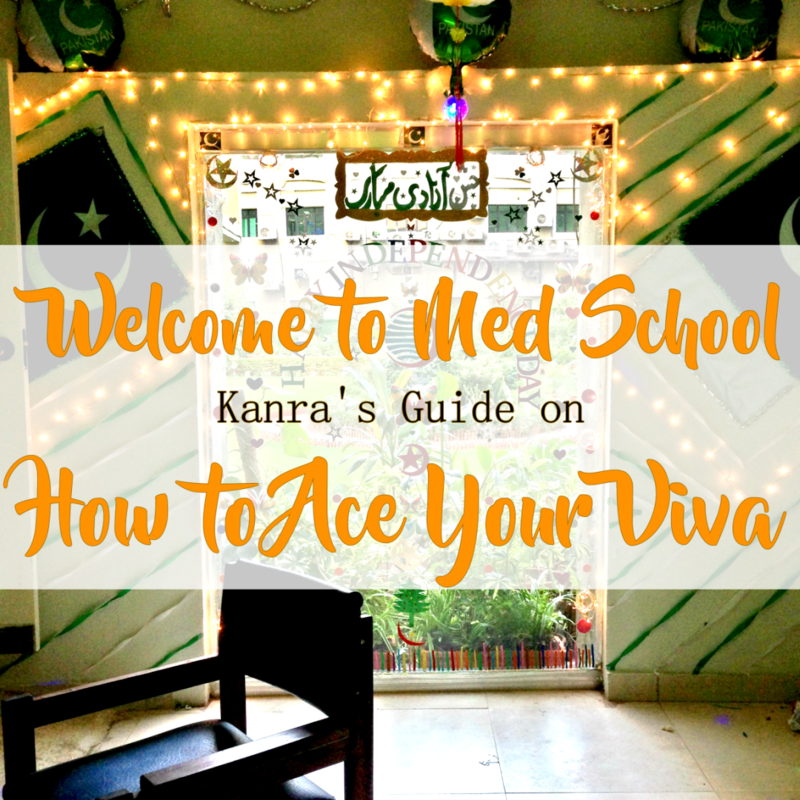 You might be wondering, what are vivas? Well, vivas are basically an oral examination where there’s just you and your teacher/professor and they ask you a series of questions, testing your knowledge and your method of conveying what you know. Introverted people like me find vivas extremely daunting, mostly because you can, in real time, gauge how your performance is going by judging from the examiner’s expressions. Of course, not all examiners are the same. Some will smile encouragingly when you answer correctly, to help boost your confidence. Some will smile encouragingly when you’re wrong, just to see what other blunders you’re going to be making today. It depends really. Of course, if your examiners are your own teachers, you pretty much judge them according to how they are in class. But sometimes, teachers change and go into exam mode, where some will be lenient and doing their best to make sure you pass, while others will be grilling you harshly to see if you were actually paying attention and still making you pass, and yet others will be harsh and end up failing you at the same time. 1. Don’t start talking immediately. Just help them note down your roll number/name and then stay quiet. Let the examiner start the examination, don’t jump in with everything you know. 2. When they ask a question, take a few seconds to think over what they’re asking. Don’t start blurting out the answer! Take your time. 3. If you don’t understand the question, don’t be afraid to ask them to repeat the question. It’s better to sound like you didn’t hear, rather than talking on and on about something the examiner didn’t even want to hear in the first place! 4. If you feel like you don’t know how to answer the question, break it down. Start simple. Let the examiner know that you’re thinking, by starting from the first step. As you talk, the next step will get clearer and clearer until you finally blurt out what the examiner has been wanting to hear! You can start out by telling the examiner the obvious things first “I understood this this and this” and then state your inferences, “This means this, this means that” and then the conclusion “So this must be the answer”. 5. Don’t judge how you’re doing from the examiner’s expression. If possible, ignore them completely and assume they’re trying to drag you down the wrong path (unless they’re a really nice teacher and you know they’re trying to help you). Stick with what you’re saying, don’t let them sway your statements and appear indecisive! So those were a couple of tips that I can give to someone who’s appearing in their viva and is kind of nervous about it. I’m not saying that these tips are perfect or that I am experienced in giving vivas, but it’s just that this is what I do and I feel like I don’t perform as bad as I think I do, considering how nervous and tongue tied I get! Do you find oral examinations difficult? How do you deal with them? Have a nice day!